You recently applied for a position with Swift. Congratulations, you have made it through to the next round. We're the fitness company that believe fitness should be fun. We create fitness classes that people look forward to and genuinely enjoy every time. 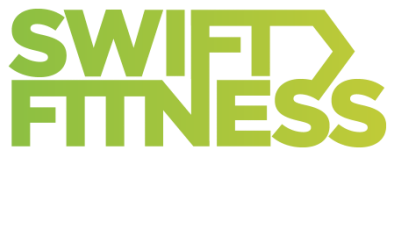 It's our mission to help our clients become fitter, healthier and happier. Our ethos is simple, push yourself hard, enjoy life, and be around positive like minded people. We launched our first Silent Disco boot camp just over 2 years ago, and it's been a huge hit. We've build a cult like following, with people travelling all over London for their silent disco fix. We're in a position now where we want to expand this throughout London in our several camps. We run around 300 sessions a month at present across London, and the aim is to have a silent disco presence in each area. You have been invited to take part in a 2 hour trainers recruitment session in Clapham. This is your chance to meet some of the current team, and try a class for yourself. We'll be looking to see who LOVES what we do, and who thinks they will be able to create their own awesome session. You will be joined by a group of other trainers who applied for this role. We will take you through a typical session for 40 minutes, and then give you a guided tour of the equipment and how it all works. We will then pass the reigns over to you, where you will teach the rest of the group for 5 minutes. This will be without music, and body weight only. This is your chance to show us your style of teaching. We're not looking for how many burpees you can do, but more the energy you bring, and the motivation for each person. We will then speak to everyone, and will select our chosen candidates to proceed to the next round. We have 2 dates & times available, please scroll down to the registration form below and select the best date for you. We meet on Clapham Common, in the triangle of Long Road, Rookery Road, and Clapham Common South side. There's a path running right through the centre, we'll be by the bench. ​We'll provide you with a number to call in case you get lost.